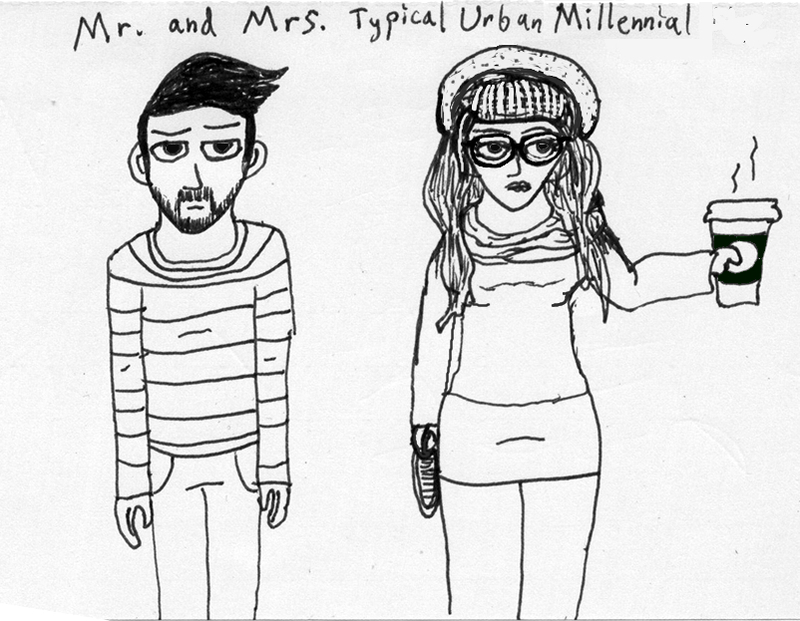 Modern urban life, am I right guys? So complex and difficult for us 20-somethings! Modern careers, modern romance, modern entertainment, it’s all so different and unique like us. I can’t even decide which show I’m going to binge watch tonight- Girls or New Girl. Both of those shows just GET how I live. I guess it depends on how quirky and/or whimsical I feel. Maybe I’ll ask on Facebook or Twitter. Oh man Brendan just posted an animated .gif of a cat with text over it saying “I can’t even”. BRENDAN IS HILARIOUS. LIKE AMAZEBALLS AWESOMESAUCE. He always finds the best things on the internet. Like I think his company literally pays him to find hilarious .gifs and browse Buzzfeed to find 22 Mindblowingly Amazing Reasons Our Generation Is The Best. It’s too bad he’s having all that drama with the girls. Like he hooked up with Sarah and Jess and Kat and Kayla at that party last night but it turns out they don’t want “labels”, they just want it to be like, totally casual! They’re totally right, I don’t know why he’s clinging to that antiquated patriarchal model of relationships. He’s gotta realize we’re modern millennials in a modern world with modern love. I think he needs to get out of the city for a while and travel the world. Every young person needs to travel the world. Like, I know going to bars and having parties and getting totally ~wasted~ is basically the best.thing.ever. but sometimes you just have to add some variety to your life and set yourself free. Like just throw away your responsibilities, who cares! I saw this video that had a fancy British voiceover and swelling violins and it really opened my eyes to how many vast valleys I can look upon from mountaintops as I take a selfie to post to Instagram. I’m really #debating #whether I should travel as #well. I think I’m going to talk to Shaye about that at Starbucks. Just need to finish this level of Candy Crush. So #addictive! Oh, three people told me I should binge watch Girls instead of New Girl, it’s just so much more raw and relatable to us youth. Man life is hard, I wish we could live back in the 90’s. I just read 20 reasons why the 90’s rocked and I totally miss all those old things. Everything is just nightmare fuel now. Like, I have to change my profile picture at least twice a year to promote an inspirational cause like my friends are. But I guess that’s just part of this modern mixed up life!